A CRM is one of the most important decisions a REALTOR can make because it literally runs your entire business in terms of managing all your contacts, marketing, follow up, lead conversion and more. In this session, Alex Camelio will break down why Zoho & all its integrations is a great CRM system for REALTORS. 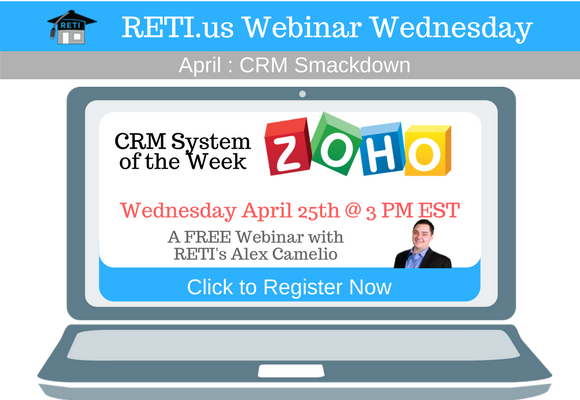 And be on the look out as all month long during April & May, the RETI team will be breaking down some of the best systems in our CRM Smackdown!